Choosing your business name is one of the biggest and most important parts of starting your own business. Your name will be there even when you aren’t. It will be the first thing potential clients see and it can make or break you. There are many important factors to consider when you pick your business name. 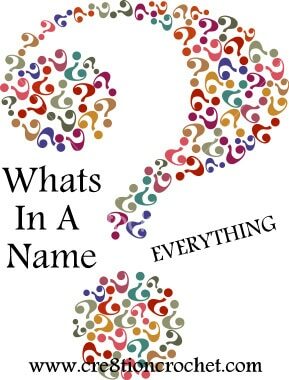 We will discuss some common mistakes people make when choosing the name of their business. You don’t want your business name to be a mouthful or sound like a tongue twister. Pick a name that has some cadence. You’ll want to avoid names that have unusual spellings. My business name has a number in the middle of it. I thought long and hard about doing that, but in this instance decided that I liked the branding aspect of the 8 in Cre8tion enough to risk playing the spelling game in the future. Will it make a good domain name? Does it sound good with .com (.net, .org, etc) after it? Also check the domain name availability. You may not want to start a website now, but you will probably want to in the future. You can check the availability of a name here with any of the domain name companies. I like GoDaddy. You may also want to consider purchasing your domain name now. Using your name in your business name often does not make it memorable. There are two exceptions to this rule: It fits in nicely with what you do. If your last name was “Hook” for example, then that would pair nicely with a crochet business name. The other instance is if your name is extremely memorable. Sally’s Crochet is not that memorable but Sapphire’s Crochet is. Check the availability of your business name in your town, state and country. You cannot use a name if someone else in your state has already claimed it. You can use a name that is located in a different state, but do you want to? In most cases this can be done online, google “check name availiblity in YOUR STATE”. Try to find a government listing. There should never be a fee to do this. You want your name to be memorable, not a mouthful. Remember you are going to be telling people your business name at every opportunity, make it easy to say. Think about giving out your name over the phone… will you have to the entire thing out? If so, that gets old, quick! Does it have good initials? Look at the initials of your business name. Can you see yourself using them as an abbreviation? Do they spell something out? If so, is it a good thing or a bad thing? Does it have room for growth? Make sure your business name can grow with the future. Do you ever intend on making something different than what you make now? Don’t name your business Sally’s Photo Props if you plan on making home décor at some point. You don’t want to exclude any demographic with your name. If you call your business Crochet for Moms than you are going to exclude anyone who isn’t a mother. You want to make sure your name doesn’t specify any specific ethnicity, gender, age, etc. Be sure to keep these ten things in mind when your pick your business name and you won’t go wrong. For other business articles please check out my Business Page. If you like what you find here, please share it. Your continued support allows me to bring you FREE patterns and business information.